Jimmy John Liautaud, the founder of the sandwich chain bearing his name, is a passionate salesman of a simple philosophy: Work hard. Push forward. Learn from mistakes. 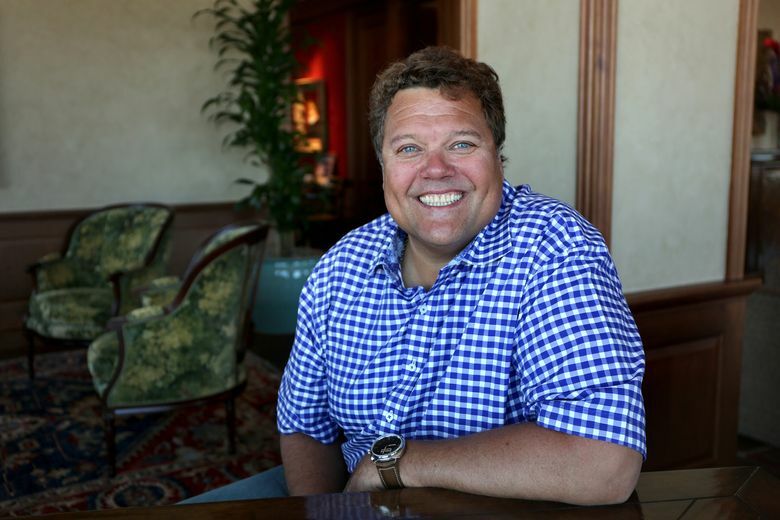 CHICAGO — Jimmy John Liautaud, the founder of the sandwich chain bearing his name, is a passionate salesman of a simple philosophy: Work hard. Push forward. Learn from mistakes. It’s a philosophy that has served him well since he took a $25,000 loan from his father in 1983 to open his first sandwich shop in the downstate Illinois city of Charleston after high school. He enrolled at Eastern Illinois University only to drop out before finishing the first semester to expand his business. Today, that business has 2,300 locations nationwide and Liautaud hopes to double that in five years. He also wants to add international stores and was considering taking the company public. The plans, and the hiring of a new public-relations agency, led the executive to sit down for a rare interview in his mother’s high-rise penthouse condo in downtown Chicago. “I’ve been around for 32 years and nobody knows who we are,” he said. An avid hunter, Liautaud acknowledges the biggest misconception about him is that people still connect him to 10-year-old photos of him posing with elephants, rhinos and other endangered animals he shot, photos which have prompted calls for boycotts in recent years. Just asking him about it makes his eyes well up with tears. The air pumps back in his lungs and the intensity returns in his eyes when he talks about his business: The school of hard knocks, mixed with a crazy passion that even he admits few franchisees can match. Liautaud marketed his sandwiches from that first store by bringing samples door-to-door at dorms. His father, James, owned 48 percent of the business at the onset, while Jimmy owned 52 percent. That first year, the shop had $155,000 in sales and $40,000 in profit. He bought his father’s stake by year three. James Liautaud died in October. Delivery, a significant driver of the business today, wasn’t a result of shrewd business planning, but rather the only thing that Liautaud says allowed him to overcome a bad location of his first store. “Delivery was never a strategy. Delivery was really survival,” he said. 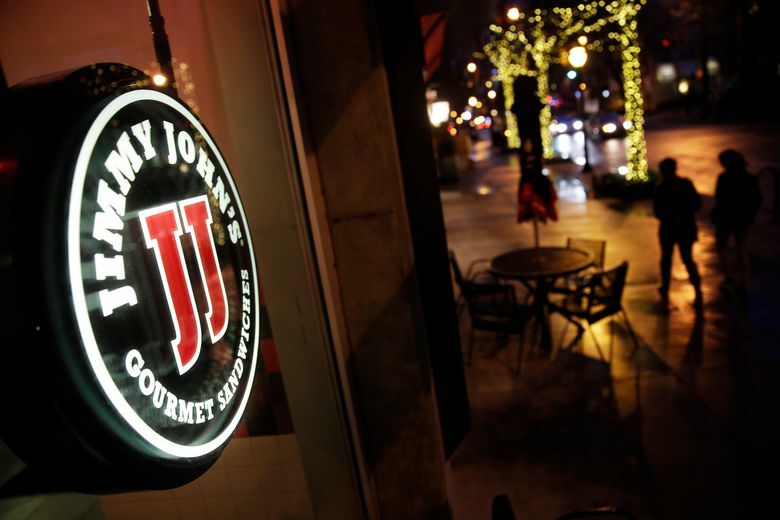 After establishing a successful recipe of house-baked bread, house-sliced meats and a dose of that irreverent attitude that is evident on store walls, Jimmy John’s started franchising in 1993. But growth exploded, and in 2002 the company had around 200 stores. Of those, about 10 percent were corporate stores that Liautaud oversaw himself, and sales at corporate stores were far outpacing the franchise locations. So, together with his business partner (now president) James North, he hit the road and visited 70 underperforming franchise stores, bringing them back to basics and trying to instill some of that initial spark. “How do you turn around a restaurant? I’ll tell you how,” he recalled. “You go inside the restaurant, pull all the equipment, pull it away from the walls, you scrub the walls, paint ’em, patch ’em, fix ’em or do whatever has to be done. But it was a lesson learned, he said. The company now goes through a far more rigorous process to screen potential franchisees. “The discipline has just paid us back in spades,” he said. The company now has 1,300 stores in the pipeline, and 90 percent of those are set to be opened by existing franchisees. Last week Liautaud said he’s shelved plans for an initial public offering. He’d spent the past two years talking to bankers and exploring an IPO before deciding he wanted to stay focused on running the business, Liautaud said.